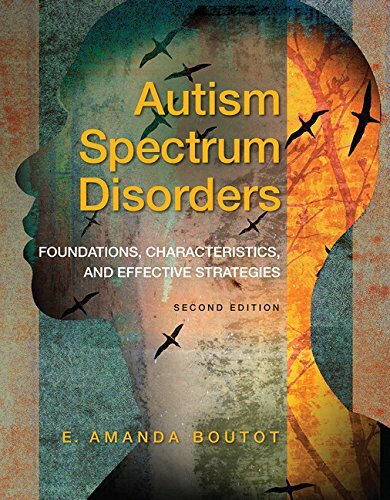 Autism Spectrum Disorders provides teachers of students with Autism Spectrum Disorder (ASD) or other developmental disabilities withimportant background information, historical context, etiological underpinnings, and characteristics of ASD that may impact learning. Written in an easy-to-follow format, the book focuses on evidence-based practices and approaches that have empirical bases for use. Thebookidentifies current trends in research and practice and includes special Research, Diversity, and Trends and Issues boxes to clarify the concepts. Each chapter begins with real life scenarios depicting key information and concepts found in that chapter and include key terms, chapter objectives, end-of-chapter questions, and web resources to enhance learning and expand beyond the text. Significant changes to this edition include a chapter focusing on play, a chapter on motor development, and a chapter on sexuality. Updates and changes to the functional academics, functional life skills, environmental supports, and transition chapters add currency and further clarification to those topics. Throughout, the book focuses on real world practice that promotes lifespan success.